Hi! I have this 806 I’ve dated to 1955. I was wondering if anyone knows what that ring around the center hole is from and if anything can be done about it? I know the sweep and sub hands have been repainted in a bright white. 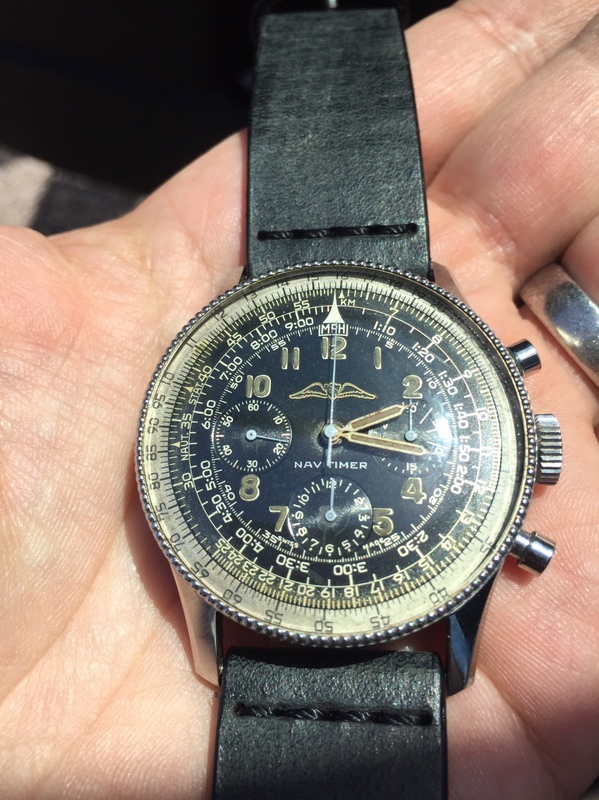 I would like to have them repainted again to match the rest of the patina on the watch. I was also wondering if there was anything else that can or should be done to clean this piece up aesthetically. I love wearing it as is ..but I’ve never seen a ring like that before so it has me a bit puzzled and concerned. I was wondering if anyone knows what that ring around the center hole is from and if anything can be done about it? A ring like that is often an indication that the hour hand has been dragging. When you look at it sideways, does anything look like it is touching the dial face? If not, it could be degradation of the painted surface starting from the centre point, although why would be a mystery too. Same rings seem to be present around the subdial centre holes. Could it be oil ingress? Nice watch though, get the hands matched up, accept the dial appearance and carry on enjoying it. Thanks for the input! I can’t see anything with the naked eye. When I have the watchmaker paint the hands I’ll ask him to investigate. Caused by moisture & dirt coming from behind the dial, you somehow see the same where the dial meets the sliderule, as holes & spaces are the only places where it can get out. 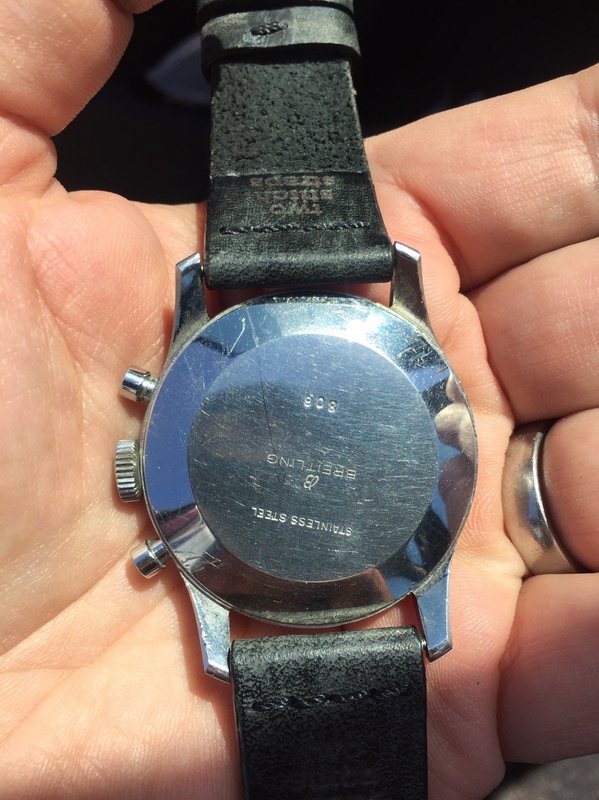 It's a strong indikation of rust / corrosion in the movement, it is definitively in need of a service. Absolutely nothing to do about it, it's patina.....!!! Sent the 806 to have the hands repainted. The watchmaker also recommended an overhaul and to stabilize the lume. Should I consider having the lume stabilized? I’m not sure what to do there. Don’t touch the lume. Just leave it. Ok that’s what I was thinking. Thank you for confirming for me!